This panel is from Stacy Iest Hsu's new line, Best Friends Forever. 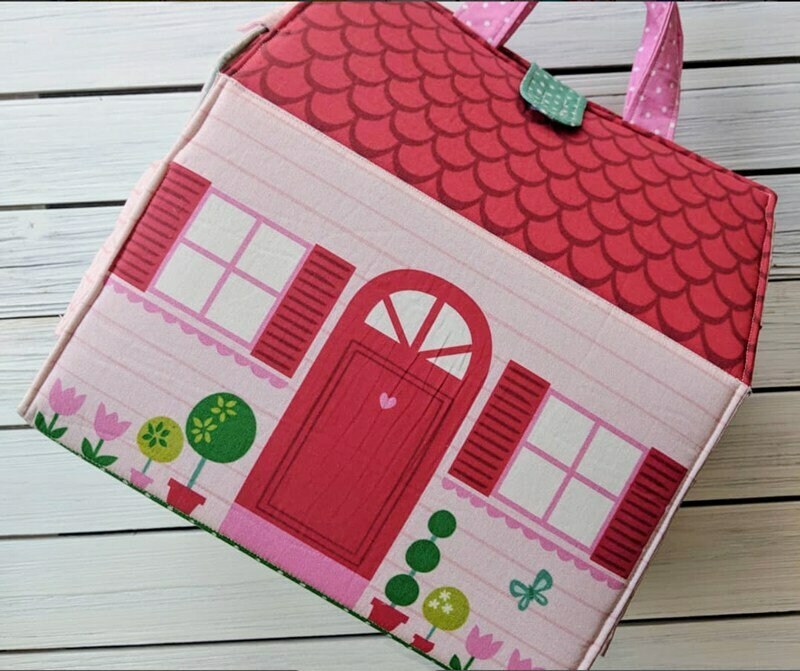 Each panel contains the fabric you will need to make one 3D house, four best friends, four pets, one two-sided rug and a pillow. The Dollhouse measures 11 1/2″ tall x 10″ long x 8.5″ wide. 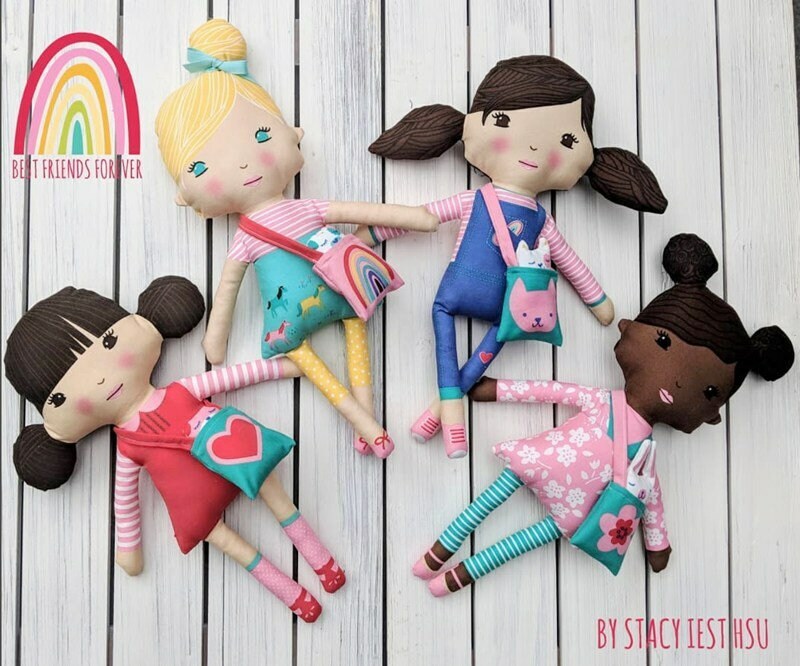 The four Mini dolls are 8.5″ tall. Panel measures 65" x 60"